(Jose Ortiz): Oh and in case you're wondering, at 1/1500 scale the ship would be close to 16 inches. And yes, it would come with Bioroid transport ships and ASC combatshuttles. In the original setting drawing, it was due to have the structure which can change into the form optimized in order to reduce air resistance on the occasion of the descent to the atmosphere. 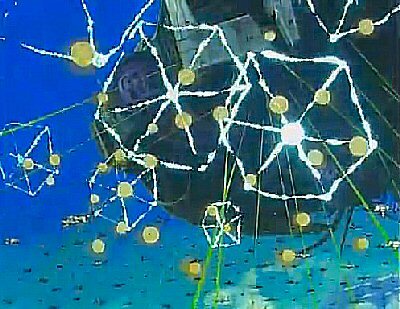 The up-and-down connection functions of the mother ship described in the 9th talk "Stardust" that carried out the George Sullivan death are the vestiges. At 03:47, United Earth Forces Command lost contact with Space Relay Station TS25. All attempts to reestablish contact were unsuccessful. 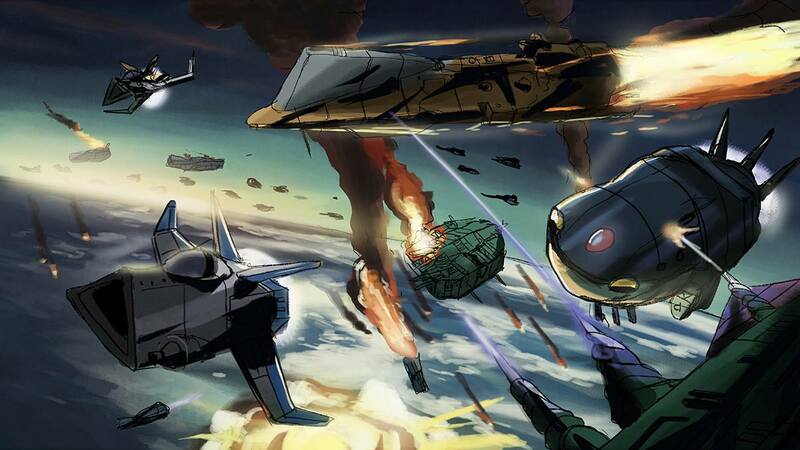 The attack by the Robotech Masters was sudden and without warning and is considered the first shot of the Second Robotech War. The Super dimension Calvary Southern-Cross episode 01 . The location has setting on "The Epsilon solar system in the Eridani star-system", the planet GRORIE has an 73-years'elliptic-orbital period go around over that "Epsilon solar". 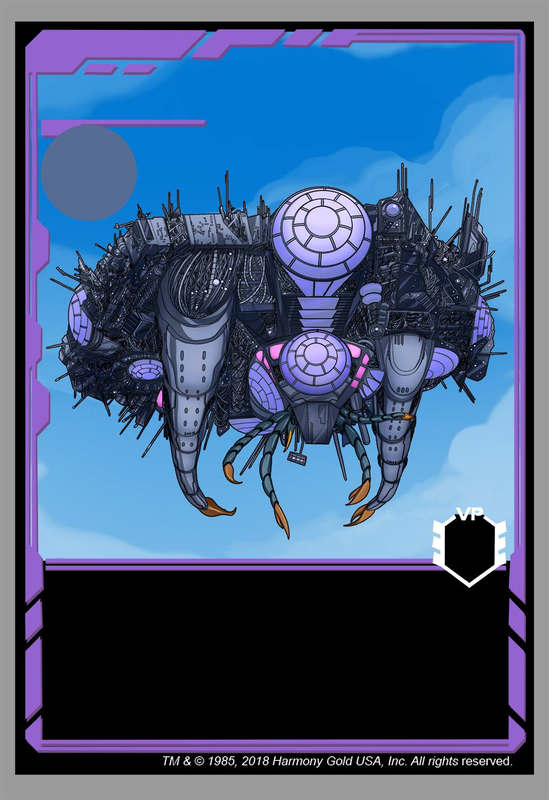 Timeline starts in the year A.D.2120,the "ZOR" humanoid-species,their fleet mainly consist of numerous mother-ship "Azashar"class reached near the GRORIE's that satellite orbit on the second satellite(second-moon) "ALUCE". All numbers are for a typical ship, as there was no standard configuration and great leeway with the large amount of space available. Life support limits are for an estimated complement of 500,000 humanoids. Approximately twice this number can be carried over interstellar distances without undue stresses on the life support systems, but the additional souls must dis-embark on arrival. Main power system: Zorrelev-210 bisza protoculture-fueled Reflex furnace cluster and numerous high capacity energy banks of a classified nature. The powerplant output is unknown, but the most informed published sources suggest a yield of approximately 130 Exawatts of power when the energy banks are drained at their maximum rate. The reflex furnaces have an unknown maximum power output, but it is known that they have the Tirolian standard overload requirement of 75 minutes at maximum power before overheat initiates auto-shutdown. 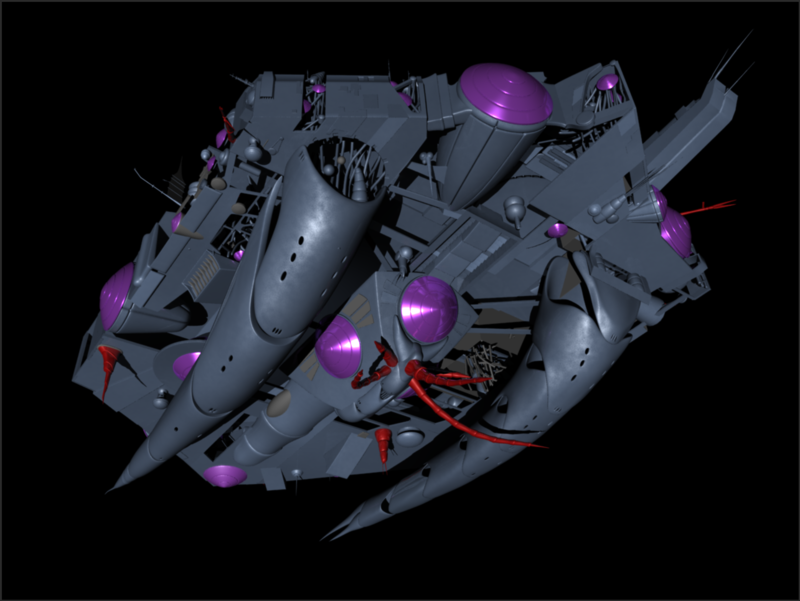 Maneuvering thrusters (2100) : fusion-plasma reaction thruster clusters with steerable nozzles. 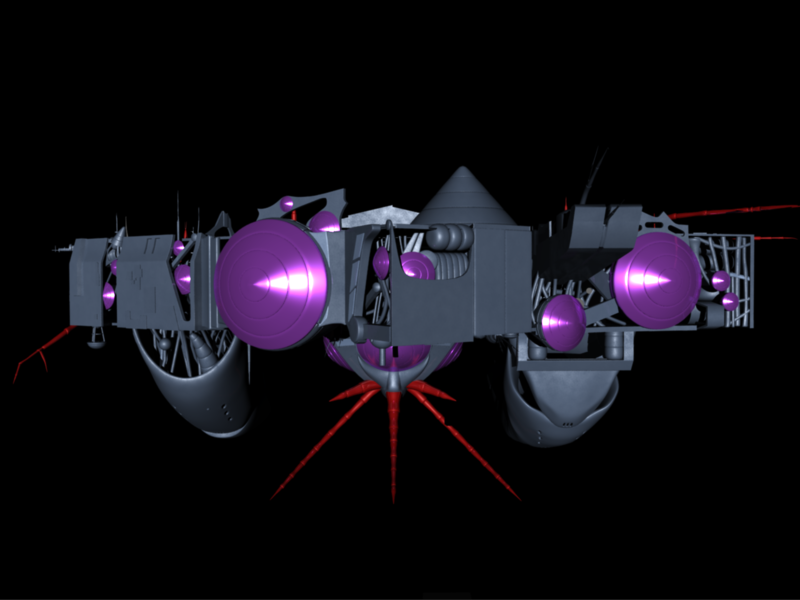 These engines are spread over the entire hull, and can provide an acceleration of 0.05 G if all thrusters on the ventral or dorsal are fired at the same time. 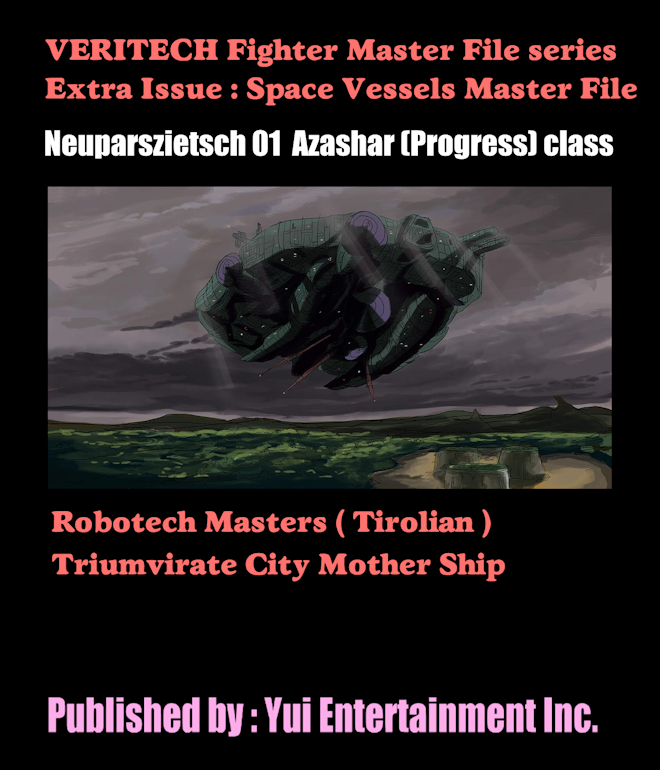 Reactionless drive (1) : A custom-made drive based on graviton expulsion is fitted to each ship of the Azashar class. The parts of this drive are spread under the entire ship's hull, although several nexus points exist with varying degrees of exposure and protection. Planetary capabilities : The Azashar class has atmospheric capabilities through its reactionless drive and anti-gravity systems. The hull has sufficient structural strength to make a cold landing on the large FTL sensor antennae. The ship will not float in a normal Terran ocean . The dry stores endurance is effectively unlimited; as the ships carry full production facilities, the only limit on usage is the availability of replacement minerals and other elements. If there is no such replenishment, the endurace is dependent on usage levels and available raw material supplies. Water stores are recycled almost totally. For mecha consumables supplies (such as there were in the Tirolian armed forces) the above applies as well. The Reflex furnace could function for about 60 years at normal usage levels before an energizer rebuild was necessary. The reactionless drive can produce a delta-v before energy bank depletion of 800 kps if the vessels charges its energy banks to the maximum. The main propulsion systems is capable of producing in excess of 1.28 Tera-newtons of thrust (more than two Earth standard gravities) until fuel exhaustion. The fold systems were not navigationally guaranteed for any single jump beyond 10 kiloparsecs. If longer voyages were required, the ship had to conduct multiple fold jumps. The maximum sustained atmospheric speed is Mach 0.9. The maximum hover time on the anti-gravity systems is limited only by the protoculture supplies and maintenance requirements. Due to regular refits and constant normal maintenance, the hull does not suffer fatigue problems and has no effective maximum lifespan. Makral Yver 258 Reflex cannon (1) :This weapon, which forms a large part of the lower forward bow of the ship, fires a very powerful particle beam to an effective range of 300,000 km. The effects against planets are equal to the heat and blast effects of the detonation of a fusion weapon of 90 megatons, if fired at full power. However, the rate of fire was measured in minutes between salvo's rather than seconds even if the ship was at full power levels. If utilized against starships, the largest vessels can be destroyed with the leakage of the beam. A direct hit will vaporize most of the target vessel. The weapon can also be set to a wider dispersal. 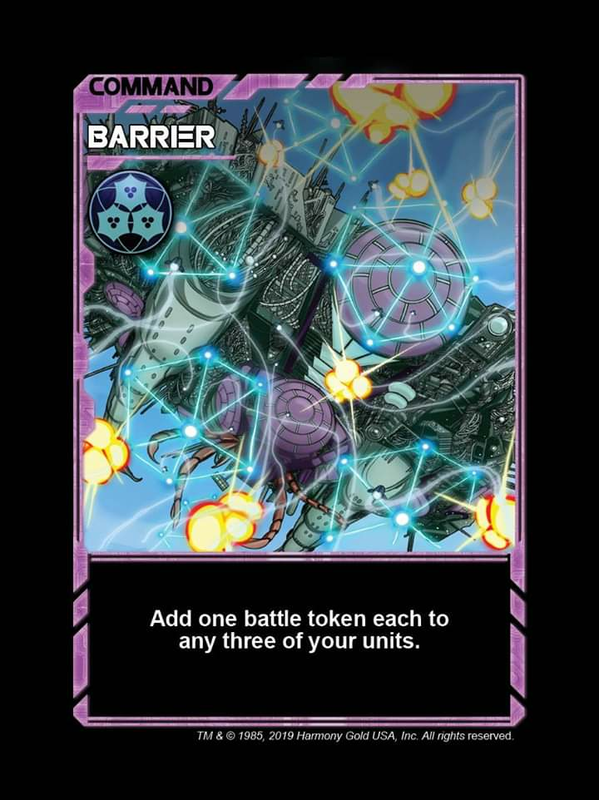 While not nearly as effective as a tight beam against warships, it is capable of clearing a wide area of fighters and other mecha. Note that at the time of the Second Robotech War progressive protoculture generator failure gave most vessels a maximum yield of 50-100 kilotons. Makral Ditrosil 12 particle cannon (930) : The Ditrosil 12 cannon is a particle beam weapon with a distinctive shape, much like a Terran ornamental candle. The cannon can fire in two modes: one with a rate of fire of 6 shots per minute and a yield of 460 GJ, or one with a near continuous fire and a yield of 150 MJ. 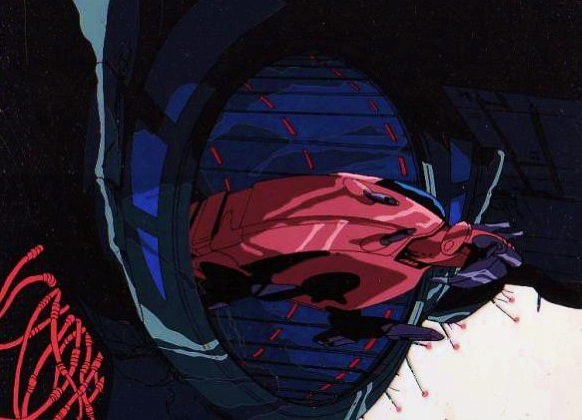 In the former mode, up to one hundred of the Ditrosil 12 cannons could concentrate their fire on a target area of a few meters across, in effect simulating a large Zentraedi anti-ship cannon. 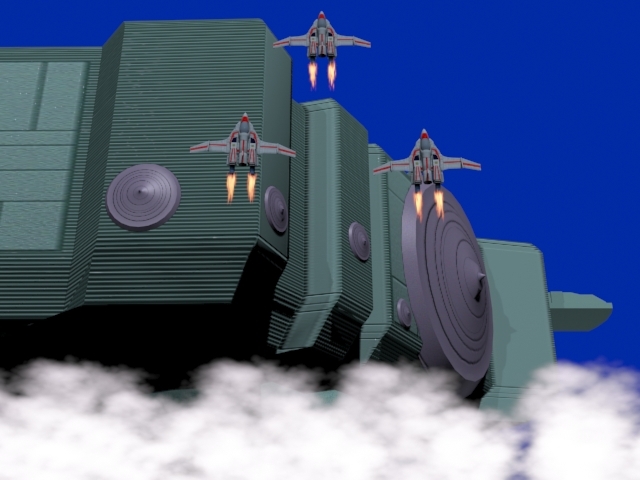 In the latter mode, the cannons are typically used to augment medium-range anti-mecha firepower. The effective range for both modes is 300,000 km. 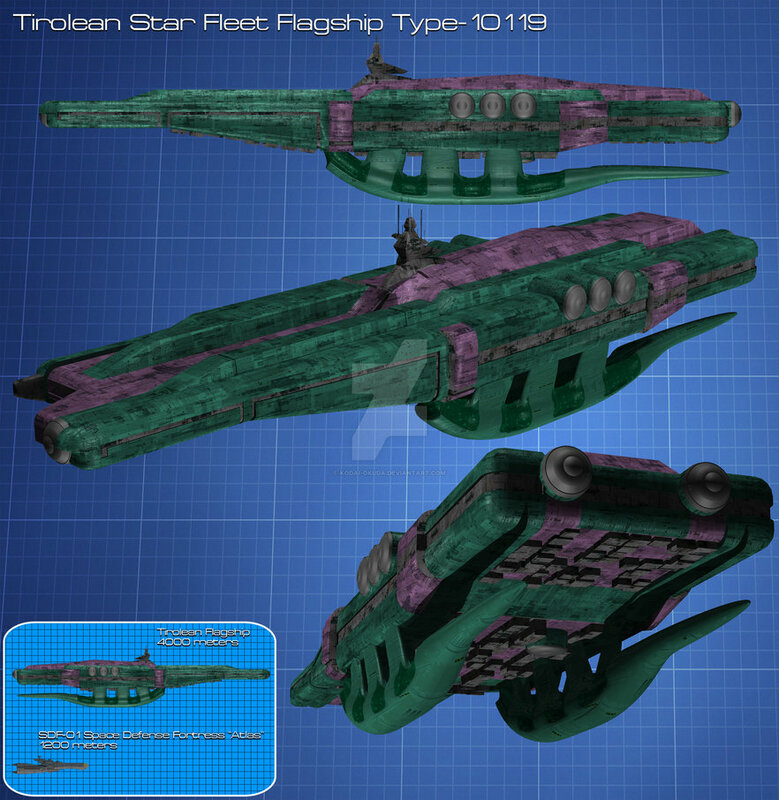 Makral Taranoul 103 particle cannon (1200) :This cannon formed the standard close-in weapon system of the Tirolian fleets. The cannons are mounted on an elevated structure in batteries of three cannons each. 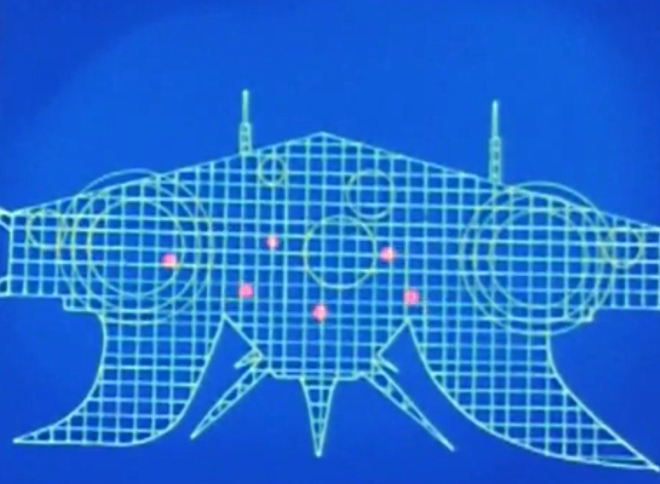 The triple batteries are distributed around the ship, with each aspect having at least 50 unmasked at all times. The Taranoul system has an effective range of 45 km against small targets, a practically continuous rate of fire and a power output of near 3 MJ/s at full power. 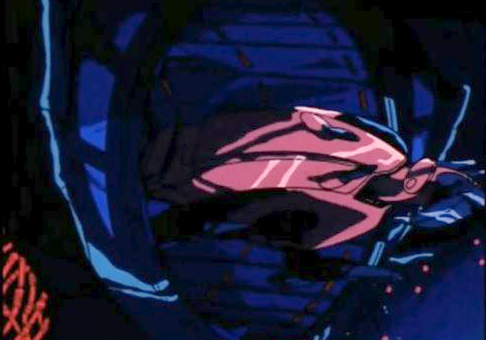 The Azashar class incorporated a shield barrier system well advanced over the UEEF / REF Pinpoint and Robotech Barrier systems. 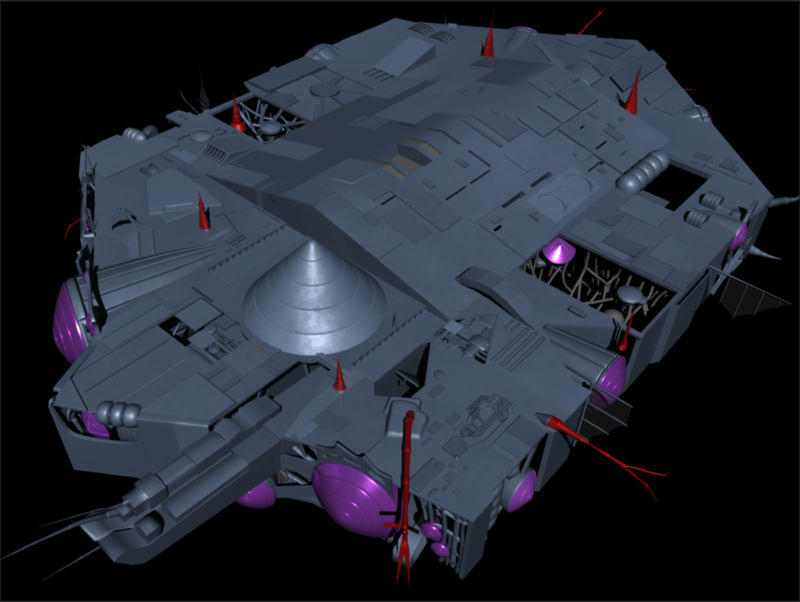 Unlike the less advanced shields on the Macross and subsequent Terran classes, the Tirolian system was capable of blocking incoming fire while allowing return fire to pass through the shield perimeter. The shield system was deployed in hexagonal transparent planes, and could be deployed in partial or full coverage. However, the energy drain this system made on the generators was proven to be tactically debilitating of the Azashar class was not fully powered. 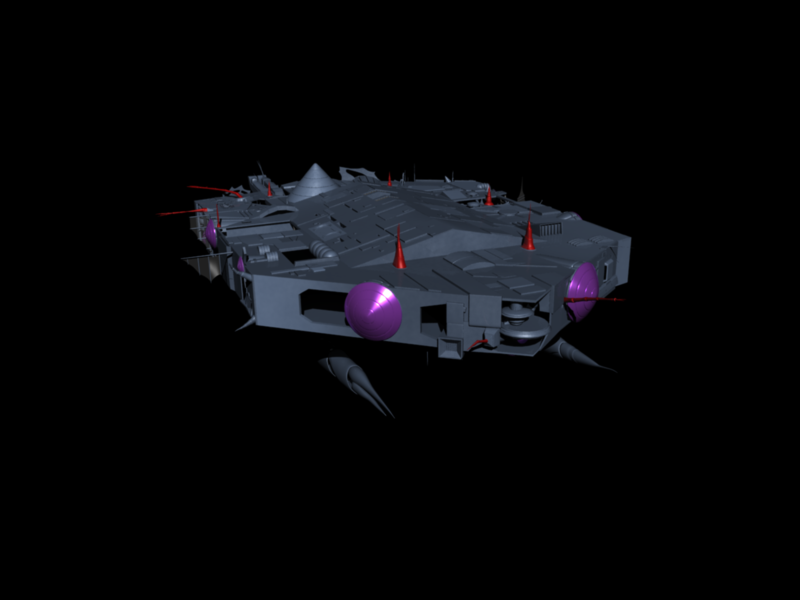 The two horns on the ventral side of the ship are sophisticated hyperspace sensors, designed to detect and track ships executing a hyperspace-fold jump. (that is, a fold detected 1000 light years away can be pinpointed to a sphere of radius 50 light years in radius with 60% certainty, and 100 light year radius to about 95% certainty). The ships contained the full industrial setups and societal support systems needed to sustain a technological society, from manufacturing centers to mining vessels to art centers to crematoria and scrap-yards. The Azashar class served as tenders for the Taul Detrel destroyers. Several holds in each vessel were large enough to serve as a drydock for these vessels, if required. 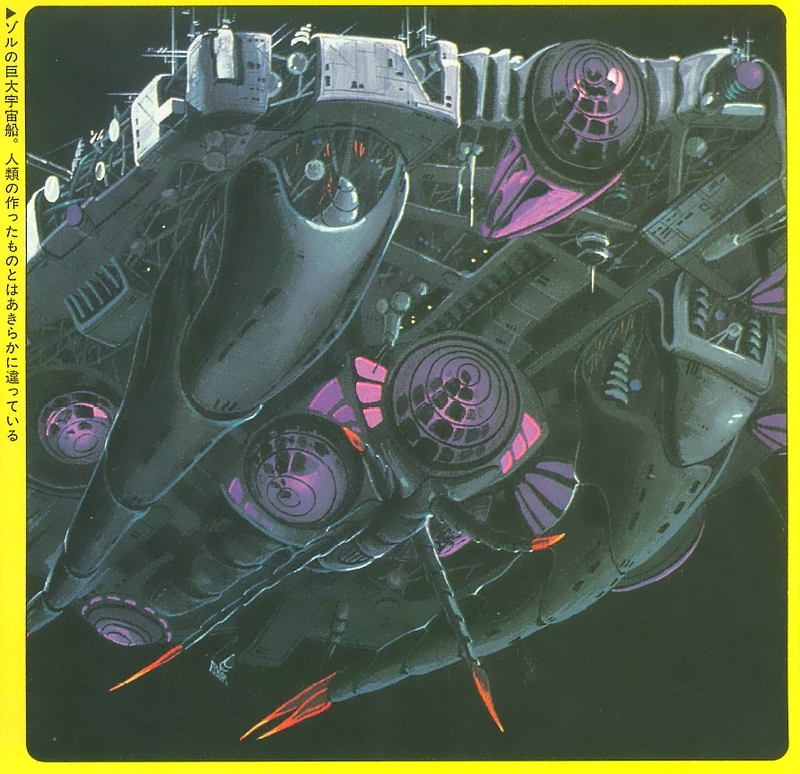 The Mothership was a gargantuan mass of metals, ceramics and organics, massing as much as 350 Macross class battlefortresses. The main hull was shaped in an irregular hexagonal platform, with the longitudinal side far larger than the other four sides. On top of the hull were two rather distinct features: a round pyramid on the forward portion of the ship, and a large elevated rectangle capped by two sloping planes. The latter feature gave the impression of a roof built on top of the vessel. The rest of the surface was not flat, but resembled very much the streets and stone canyons of a city. However, there were no windows or portholes present. Under the hull were three features of the ships, two hyperspace sensor horns and a large cone of metal which was actually the hangar and docking area for the larger sub-vessels. The drives of the Mothership were unusual, as indicated above. The Tirolian scientists had perfected an efficient reactionless drive and installed this in each Mothership. 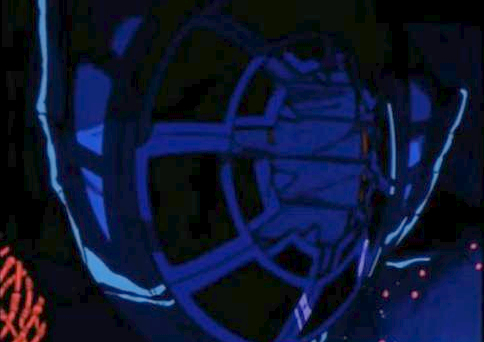 However, as was proven over Earth, the shielding of this drive was not ideal, and the downing of the Robotech Master's flagship on Earth caused emergency modifications to the other ships of the fleet. In addition, the energy demands of this drive system far outstripped the generating capability of the class, even if all the internal space was to be converted into Reflex furnace chambers. Consequently, the ships stored a large amount of energy, built up over a long period of time, and discharged these into the drive units. 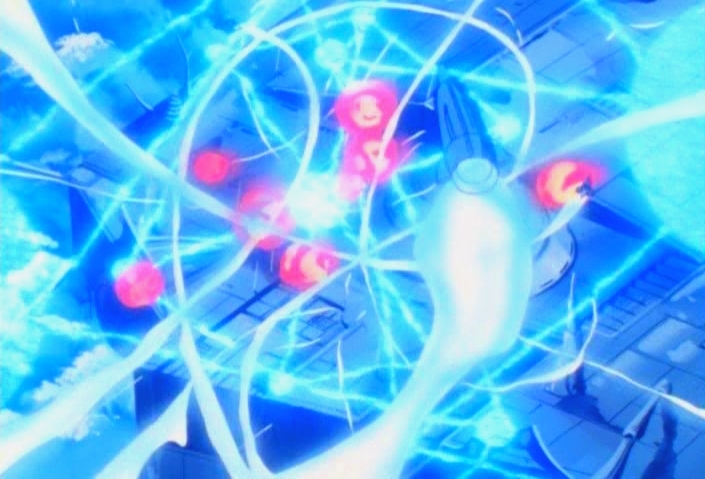 The technological basis of this capacitator system is classified, but basic physics, and what information concerning this system is declassified, would suggest that the energy was stored in the form of anti-matter. 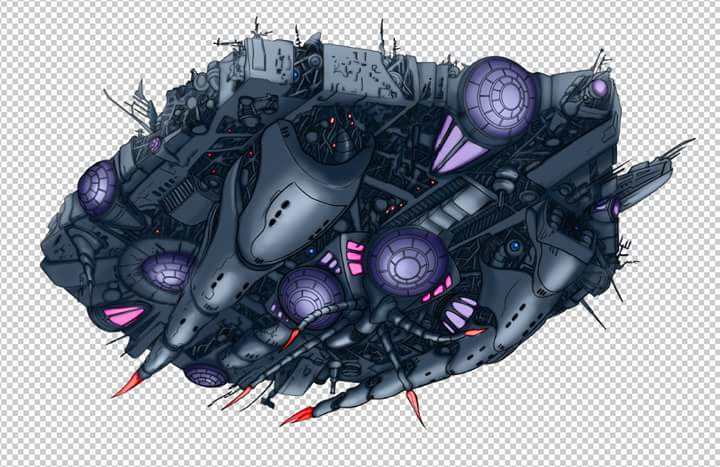 The armaments were impressive as well, with almost 200 Roil assault corvettes, tens of thousands of Bioroids, and a ship-to-ship armament second to none. 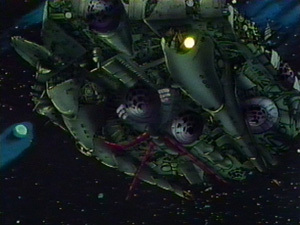 The latter included a Reflex Cannon of the larger variety, numerous anti-ship cannons, and over a thousand anti-mecha cannons which proved to be frightfully effective against the Southern Cross's RDF forces. Added to all this were the formidable passive defenses of the hull itself and the force-fields that came with it. Internally, no two ships were identical, and only some broad layout details can be pointed out. The residential sections of the ship occupied the upper decks of the main hull, with the command and control sections underneath them. The lower parts of the hull were relegated to engines, storage sites and industrial purposes. The two horns on the underside formed the fold sensors, and the mentioned upper deck features were part research laboratory spaces and secondary command centers. As much of the internal hull could be restructured (originally for damage control purposes), any detailed description of the internal lay-out of any vessel must by necessity be placed within a certain timeframe. Outside said frame, the description would have become invalid due to the constants reshuffling and refitting done by the ships' commanding Triumviroid. 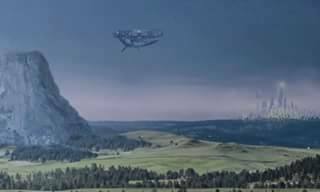 The Motherships started their lives as trans-light colony ships during the first Tirolian colonization wave, centuries before the advent of Robotechnology. In those times, fold technology was still primitive, and the fold drives of that time were all extremely large and inefficient. In addition, the total mass that could be folded was bound by an upper limit, and the colony ships were built right up to this limit. 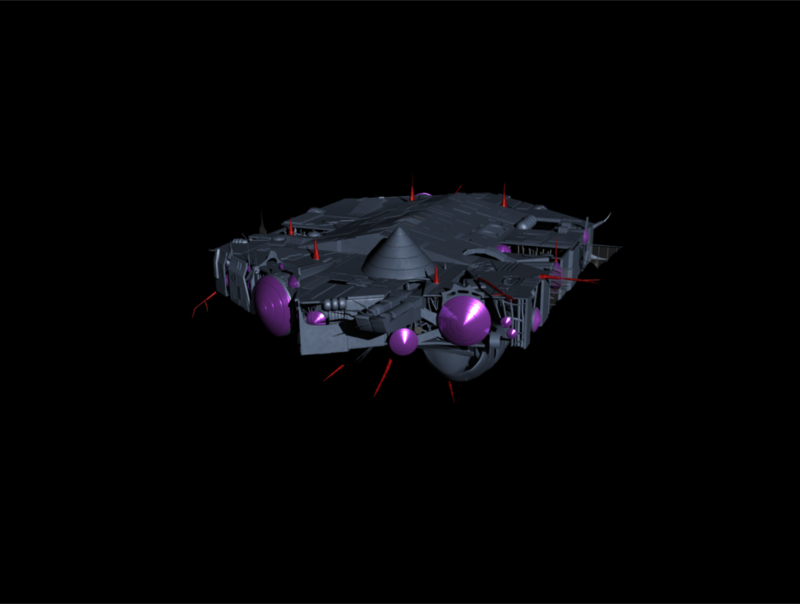 As much of the internal space and total mass of these vessels was reserved for the fold drives, their cargo capacity was far less than their size would lead one to expect. However, inefficient as they were, twenty-five of these vessels were built and used to establish the first Tirolian colonies. 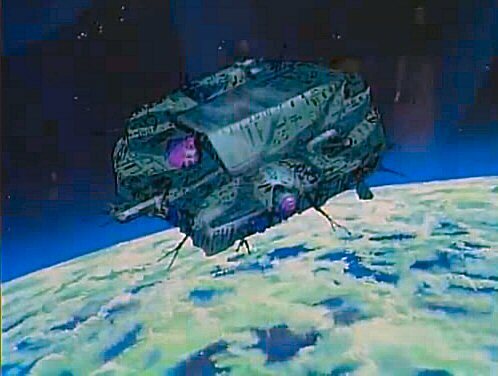 Later on, when more advanced fold engine designs became available, and protoculture power sources also became common, the colony ships were all mothballed, as they were utterly obsolete. However, they all had very substantial internal spaces, and because of Tirolian design practices, had very thick and sound hulls. Thus, when the Elders decided to emigrate from the Tirolian surface, they chose to strip the colony vessels of their gigantic fold drives, and use the freed-up space to install the latest in starship technologies. These new drives and other machinery were relatively so small, that the vessels all had large areas of free space left over, an extremely rare occurance onboard starships. 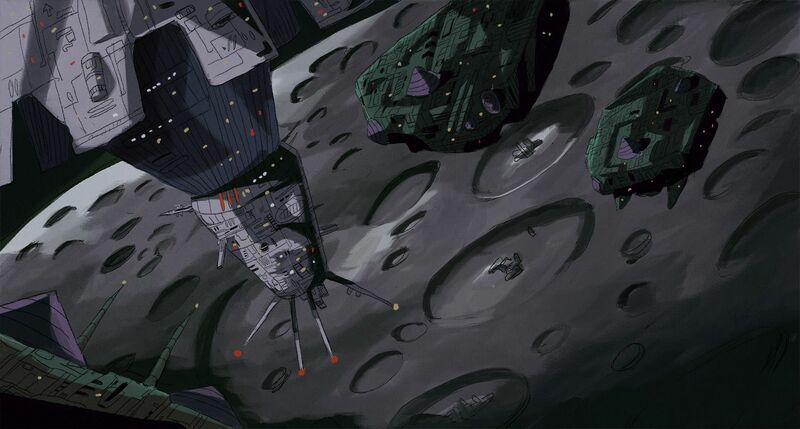 When the Invid and the Ci'Vonian rebels and their renegade Zentraedi armies (known to the Masters as the Disciples of Zor) began their fold-guerilla campaigns against the Robotech Empire, there was little that could be done in the beginning, owing to the fact that a fold jump could not be tracked. The Tirolian answer to this were the hyperspace sensors, which could track all fold movements (though with accuracy fast dimishing with range) within 30,000 lightyears. However, these hyperspace sensors were extremely large, and the only vessels large enough to mount the required two antennae per ship were the Motherships. Thus all were refitted with the large horn-like sensors. 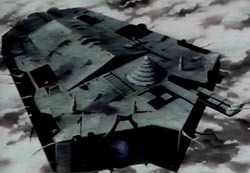 Using this technology, the Masters managed to track and defeat the disciples of Zor at their bases, and also managed to keep a check on the Invid, although they never subdued them entirely. At this time, the Motherships were also equipped with the extremely heavy weapons suites discussed above. 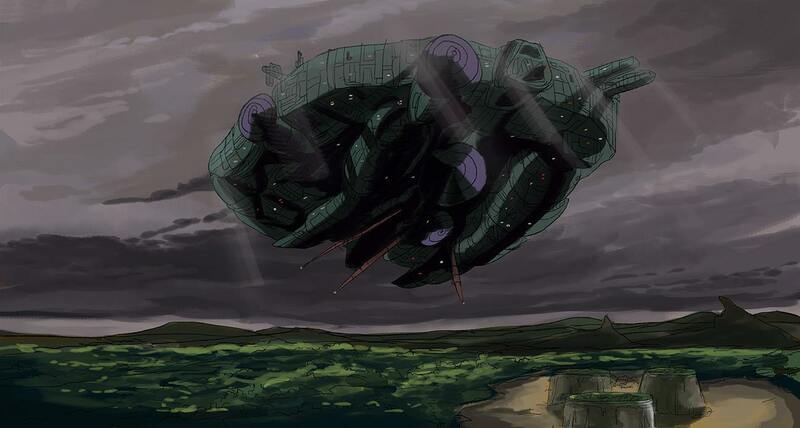 This later caused heavy casualties among the Armies of the Southern Cross, when the Tirolians were forced to travel to Earth and do battle themselves over the last viable protoculture seeds. Only nine vessels were at that time still powered up enough to function, the others being depleted or cannibalized long before the fleet reached Earth-space. 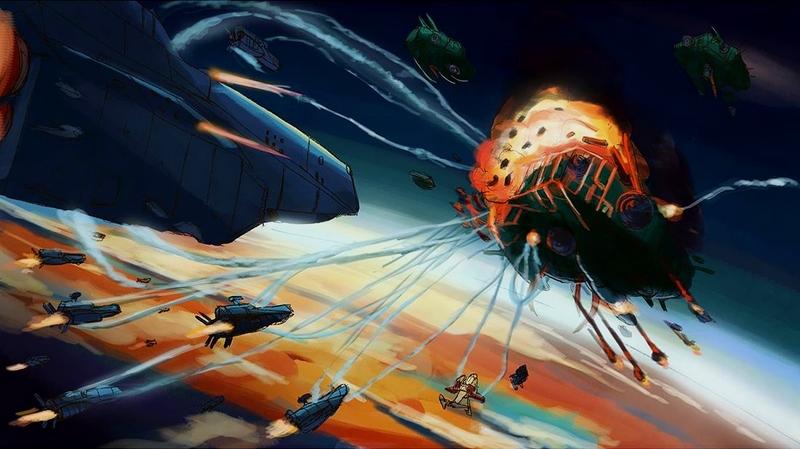 One Mothership was destroyed when the Hannibal rammed and self-destructed inside her, the Tirolian flagship was destroyed when a mecha pilot took out the main engineering computer. 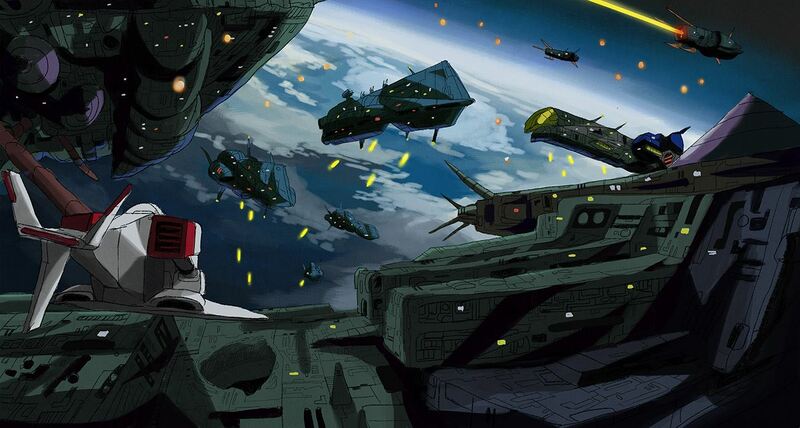 Another ship was destroyed over the site where New Macross had once stood. The force of that blast spread the spores of the Flower of Life across the Earth. A fourth ship crash-landed in the Skagerrak, and within years resembled an island of the Norwegian coast. 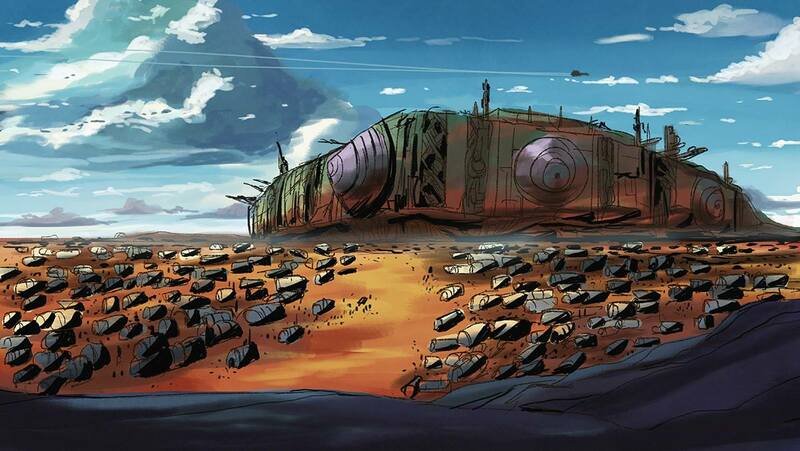 The hulk provided many sorely needed resources to the European Resistance in their fight against the Invid. 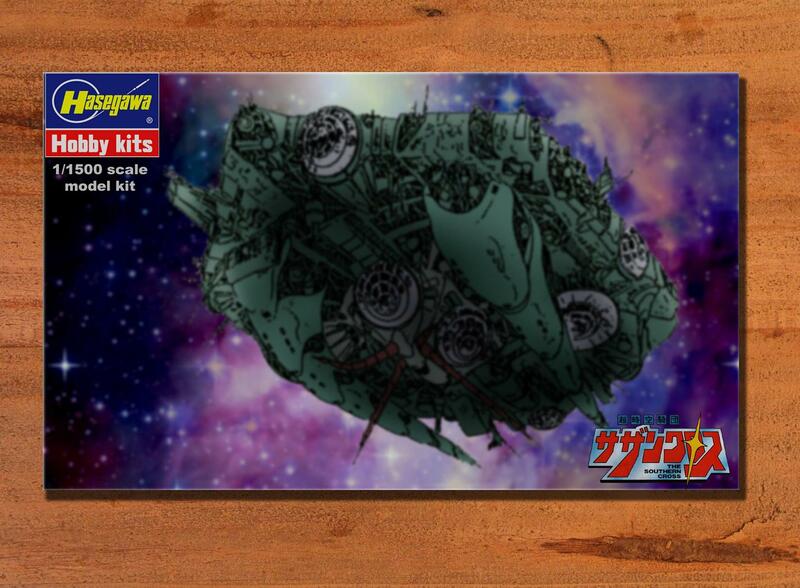 The other ships were destroyed in space. Spread through several galaxies, only powerless hulks were left. One of these hulks was recovered by REF troops in the early 2040's. The REF scientists immediately recharged the powerplants with fresh seeds, spent a few years figuring out the controls, and then folded it to the solar system, where it is still today, serving as an orbital base while research teams try to decipher the technology still on board. All other vessels are damaged beyond repair, or simply missing.